Angel readings are an excellent way to connect with your heavenly helpers and receive their guidance. Originally, readings were intended to provide anyone a more tangle link to their personal guardian angels. Angel readings are an excellent way to connect with your heavenly helpers and receive their guidance. Originally, readings were intended to provide anyone a more tangible link to their personal guardian angels. As interest in angels and spirituality grew and developed, these inspiring readings paved a path to Divine partnership with angelic beings of light. Today, angel oracle cards are used by both professionals and lay readers. 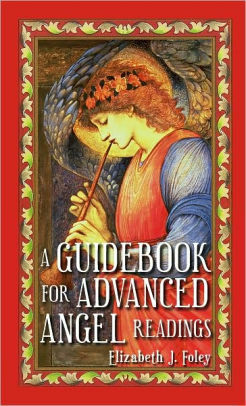 Elizabeth unveiled the mystery and foundational technique of conducting angel readings in her first book “Angel Readings for Beginners.” The book you now hold in your hands reveals more advanced reading tools which can enhance your own communication with the angelic realm. The knowledge within the pages of this book can help transform you from merely an experienced reader into a Divine Oracle.